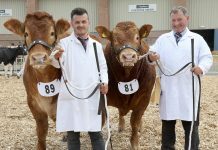 With the early 2019 sale schedule well under way all eyes will be on Dungannon Mart on Monday 18th February for the British Limousin Cattle Society Show and Sale of pedigree bulls and females. 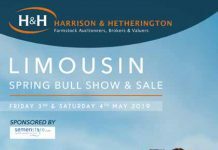 With 50 bulls and 25 females listed for sale the event is certain to be of interest to buyers across the region and beyond. In recent years, across the Society sales solid demand for easy calving, easy fleshing bulls with plenty of scope and growth potential has been very evident. 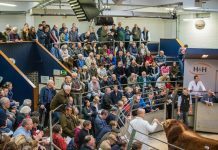 Underpinning the vibrant trade for the breed last year this reflects just how high confidence in the breeds fit in the market place is. 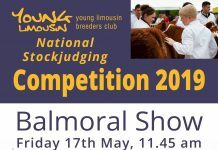 There is a clear recognition that fast finishing progeny hitting the target weights required by the market is both efficient and profitable and that Limousin delivers just that. Easy calving and efficiency have been very much the buzz words. 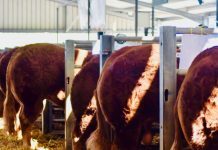 Boding well for the future, commercial buyers can clearly see the advantages of market ready genetics and as such are able to confidently invest in the breed. 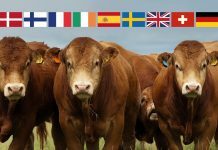 Iain Kerr, Chief Executive of the British Limousin Cattle Society, believes that while the uncertainties of the post Brexit environment present a challenge to the industry the Limousin breed has much to offer by way of solutions. 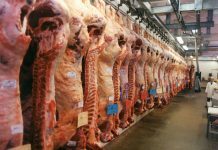 He says: “The signals from the industry suggest that cattle with the genetics to convert food efficiently reach slaughter weights earliest and crucially deliver more valuable carcasses are in the greatest demand, this isn’t something that is going to change anytime soon”. Gleneagle Master led the way at last year’s fixture, going under the hammer for 6,000gns. 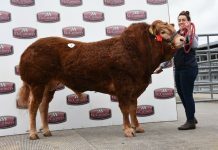 The August 2016 born bull who had been placed as the Intermediate Male Champion carried a Beef Value of LM+43, well into the top 10% of the breed. On Monday 18th February the pre-sale show gets underway at 10am under the watchful eye of Geoff Rodgers. 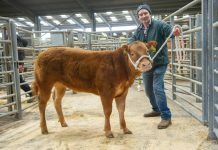 The Rodgers family, who run the Draperhill Limousin herd at Dromara, Co Down took the Overall Champion spot with their calf Draperhill Orlando at the Northern Ireland Limousin Young Breeders Calf Spectacular just after Christmas last year. 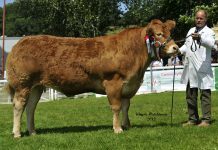 They also purchased the sire, Slieve Leonardo, at the BLCS Sale in Ballymena Mart in May 2016 when he was Reserve Junior Champion. 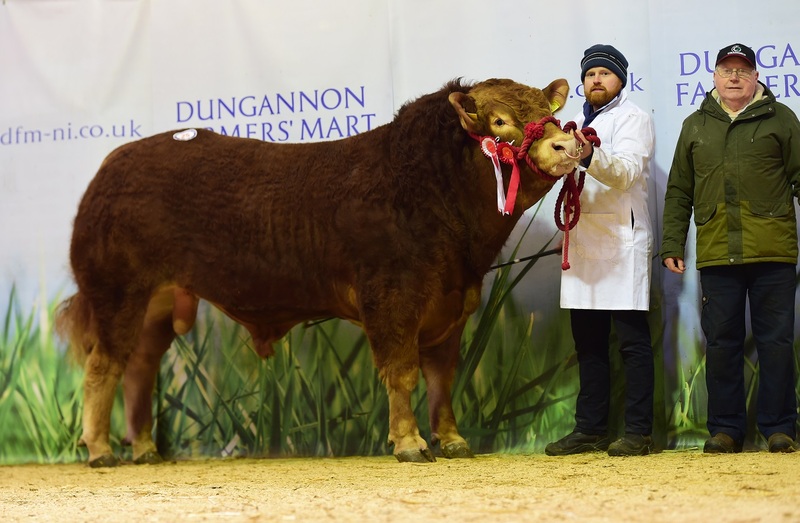 The sale at Dungannon offers bulls, and females, with robust economic attributes which makes it an essential fixture for commercial and pedigree producers alike. The sale is scheduled to start at 1pm.